I’m Tessa, the outreach intern. 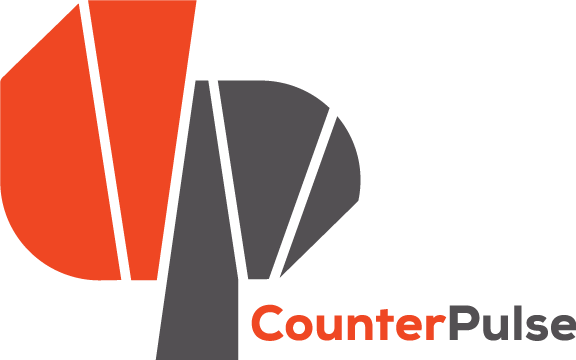 I had an urge to blog, which has never really happened to me before, so I figured I would talk about my time at CounterPULSE so far. Well…where to begin? Basically, I love working here. Er’body is really nice and I’m learning a ton. But enough about me — I want to talk about the Summer Specials, not just because it’s my job, but because they are really great! Last night I worked the box office for and then saw Rare Earth. It was so good. The language of the show really stood out to me. It had a mix of modern words and classical/Shakespearean form that I had never heard before. It was much more inventive than the countless Romeo & Juliet remakes we have all seen. Also, Rare Earth used the word douchebag like 10 times, so I was instantly engaged. But truly, overall, Rare Earth is a gem. I laughed a lot, I felt bad about my consumer consumption, I went home thinking about my generation and our minimal appreciation for the planet, and I was thoroughly entertained. Kudos to Front Line Theatre. On to the next Summer Special, which I’m pumped about, Persepolis, Texas! First of all, Maryam is so nice. I kinda want to be her when I grow up. I met Maryam a couple weeks ago when I interviewed her for a Summer Special interview (I would be including the video in this blog, BUT I accidentally lost the footage.) Oh well, sH!t happens. Anyways, Persepolis, Texas is gonna be amazeballs. It is a one woman show in which Maryam/Mona G. Hawd tells her “story of how a little girl born to Iranian parents and raised in the suburbs of Texas came to become a drag queen in San Francisco, California.” Sounds cool, right? Buy tix for Persepolis, Texas HERE! Also, come visit me at the show cause I will working backstage. Alright, I think that’s enough blogging for today. How’d I do? My next blog is gonna be about my time working backstage for another Summer Special, Work MORE! I get to help some fabulous drag queens get into their costumes.